To understand what this “harbinger” really means, we must understand one key verse from the Bible, Isaiah 9:10, which says, “The bricks have fallen down, but we will rebuild with hewn stones: the sycamores are cut down, but we will replace them into cedars.” This was said by the leaders of ancient Israel after they were raided by the Assyrians in a savage attack in which their city was ravaged and their trees, namely sycamores, cut down. This happened because God had lifted his protection from Israel and allowed an enemy to attack them because of their disregard to remember and obey Him. Israel had begun to drive God out, so God withdrew his divine guardianship as a wake up call to bring them back to Him, but as it states in Isaiah 9:10, they answered this call with defiance, seeking instead to rebuild stronger than before and rely on their own power to protect themselves, which of course only brought upon further destruction. The interesting thing to note here is that the only two nations on earth that were founded on God’s word are Israel and America. In the beginning, America was dedicated to God with prayers and vows by the founding forefathers, but just like Israel, it has turned its back on God over the years, and history regrettably repeats itself. Just like it says in Isaiah 9:10, our “bricks have fallen down” in the 9/11 attacks on the World Trade Towers, and by some eerie and fateful fulfillment of prophecy, a flaming steal beam of debris from the collapsing Northern Tower went sailing down to the only plot of land in the entire vicinity where there was one little sycamore tree growing and struck it to the ground, prophetically repeating God’s pattern of waking up a holy nation that has slowly drifted away from Him. However, in the same manner as ancient Israel did, we responded to this harbinger of judgment with defiance. 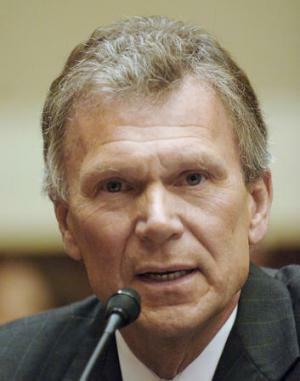 To manifest this harbinger of judgment in the same manner as the leaders of Israel did and repeat the pattern, a national leader would have had to verbally respond to the attack in the capital city with a vow of defiance, and it just so happens that Tom Daschle, the Majority Senate Leader, who represents the Senate and the nation as a whole, gave his official response to the attack the next day on September 12th 2001, in Capital Hill, saying, “I know that there is only the smallest measure of inspiration that can be taken from this devastation. But, I think there is a passage in the Bible from Isaiah that I think speaks to all of us at times like these;” And then he says it. “The bricks have fallen down, but we will rebuild with hewn stones: the sycamores are cut down, but we will replace them into cedars.” Of all the verses in the Bible to read from, he chooses the very one in which he is unintentionally identifying America as a nation under judgment. Now, traditionally what would happen in ancient days is that two witnesses would be commissioned to verify a truth, three if it were something of great importance. 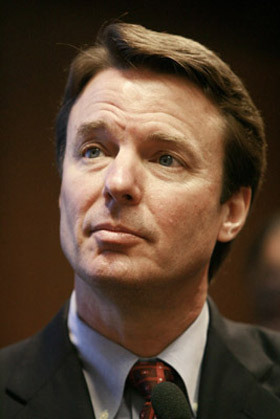 Our first was Tom Daschle, who recited Isaiah 9:10 in front of the Senate, and our second came to the podium on the third anniversary of 9/11, the Vice Presidential Candidate, John Edwards, who did the exact same thing and said, “Today, on this day of mourning, we have the Lord’s word to get us through; ‘The bricks have fallen down, but we will rebuild with hewn stones: the sycamores are cut down, but we will replace them into cedars”, again, inadvertently declaring judgment on the nation as the second witness to verify that this is in fact a warning sign from God, whether he himself was aware of it or not. John Edwards and Tom Daschle were completely oblivious to the fact that, in reciting this verse, they were actually prophesying judgment on America. 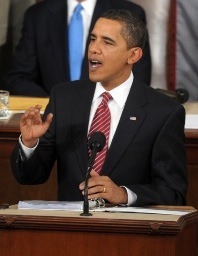 Now, because this is such a dire warning, we see our third witness rise to the podium in February 2009 with his first speech to congress, saying, “While our economy may be weakened, our confidence shaken, though we are living through difficult and uncertain times, tonight, I want every American to know this: we will rebuild, we will recover.” That was Barack Obama, saying, just as the leaders of ancient Israel did, that they would respond to God’s harbinger with defiance and rebuild stronger than before. This also links 9/11 to the economic shaking of America that was soon to follow, which is God’s second harbinger of judgment. In Psalm 18:15, it talks about how when a nation is under judgment, God exposes it’s foundations to lay it bare and defenseless, and as we all know, America’s foundation is its economy. It’s financial foundation was on the Island of Manhattan, the trading post, where a wall was set up to defend themselves and divide the settlers from the native Injuns, and it was here that they put up all their shops, which later became known as “Wall Street”. 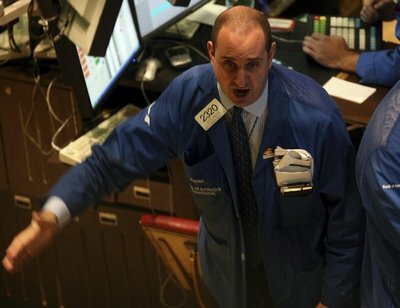 Wall Street became the foundation of America’s rise as a super power in the late 18th century when 24 merchants from New York City gathered in a secret meeting and signed a document, the Buttonwood Agreement, which became the Buttonwood Association, which eventually became the New York Stock Exchange. Interestingly enough, “Buttonwood” refers to the type of tree that their document was signed under on Wall Street. So, essentially, the foundation of America’s power is linked to this “Buttonwood”, which, as I recently found out, is a sycamore tree. 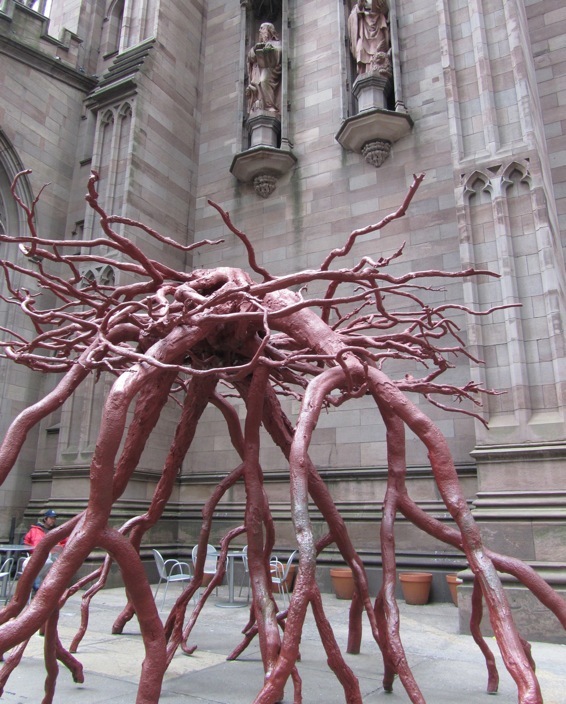 That red-painted tree sculpture that I saw in New York, the remains of the sycamore from the 9/11 attacks, is the very symbol of the striking down of the financial power of America, which they didn’t place on Ground Zero, but on Wall Street. They took the uprooted sycamore tree and displayed it as a symbol of hope with no idea that it is actually an ancient harbinger of judgment. 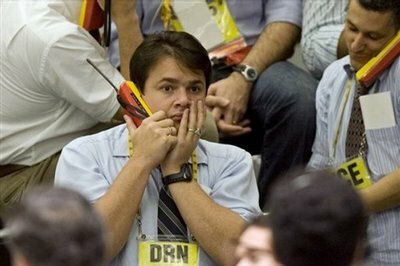 Ever since 2001, we’ve been watching the rapid economic decline of America unravel itself like never before in history. One thing to bring to mind in all of this is the Jewish Shemitah, which was a Sabbath year. The Jews were instructed by God to work the land for six years at a time, and on the seventh year, they would rest to cease all agricultural activity and let the land lie fallow. However, what happened to Israel is that they didn’t want to discontinue their monkey-making and business, so they refused to rest on the Shemitah, and as a result, God enforced the Shemitah on them anyway to teach them a lesson by allowing what we know historically as the Babylonian Exile, which halted their growth and lasted for seven years, the exact number of years that they had ignored the Shemitah. So, if they would not keep the seventh year Shemitah so that God could give it to them as a blessing, it would come to them as a curse. In Isaiah 9:10, it talks about how the “The bricks have fallen down, but we will rebuild with hewn stones”, and the meaning of hewn basically means a stone which has been quarried and cut out of the mountain. It’s much stronger and greater than a brick. After the Assyrian attack, the Israelites cut out a stone, brought it back to where their bricks had fallen and vowed to rebuild the nation. After 9/11 in New York City, on July 4th of 2004, the Americans did the exact same thing. 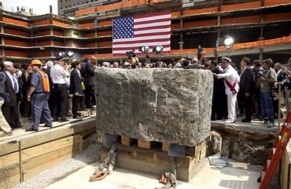 They went to the mountains, quarried out a 20-ton rock, brought it back to Ground Zero, and they held a big ceremony around it, where Governor George Pataki said, “Today, we, the heirs of that revolutionary spirit of defiance, lay this cornerstone and unmistakingly signal to the world the unwavering strength of this nation, and our resolve to fight for freedom.” Basically, a paraphrase of Isaiah 9:10, but blatantly proclaiming themselves as being the “spirit of defiance”, the same spirit that ancient Israel had thousands of years ago when they were under the same warnings of judgment. The ancient harbinger also states that they would have to take out the sycamore tree and replace it with a Cedar tree, which is a stronger and much greater kind of wood. Keep in mind that the orignal word for Cedar is Erez, which means any kind of coniferous tree, literally a pinaceae tree. So, guess what happened. 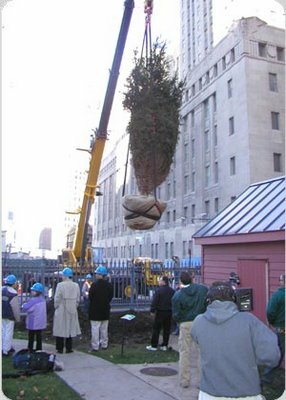 After 9/11, to fulfill this harbinger of judgment just as it says in Isaiah 9:10, a big crane was used to lower a pinaceae tree on the corner of Ground Zero in the exact placement that the cut-down sycamore tree had been. It was planted on November 22, 2003, and named the “Tree of Hope”. A ceremony was then held around it where they pronounced their defiance even further, and as history has shown, defiance only brings about more harbingers of judgment, hence the collapse of the economy. King Solomon had dedicated the nation of Israel to God on the Temple Mount, and it was on the Temple Mount that judgment came. 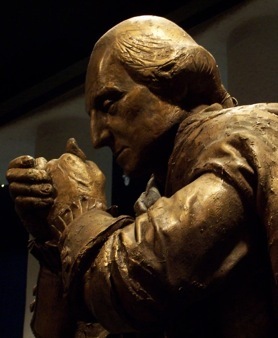 In the same frightening parallel, George Washington’s first act was a prayer to consecrate the nation and dedicate to God, and he did it in America’s oldest church, a chapel that sits right on the corner of Ground Zero, where all these years later, God would allow the terrorists to strike on 9/11 as a result of having broken the vows in the same spot that these vows were originally declared. This little church is St. Paul’s chapel, where you can now go in and see tons of 9/11 memorials. In fact, this feeble old chapel, which sits literally one short width of a street away from where the World Trade Centers fell, is the only building in the entire vicinity that was miraculously untouched and unharmed by the debris and ruin. It was actually the sycamore tree that protected it from that one falling beam of debris that struck it down, which in so doing fulfilled God’s harbinger of judgment as spoken of in Isaiah 9:10. Also, I find it interesting that the next verse, Isaiah 9:11 (get it?) talks about how God lifts his protection and allows the enemy to attack the nation. It’s painfully clear that God is trying to warn us that we are under judgment as a result of our sins and that we must turn back to Him. 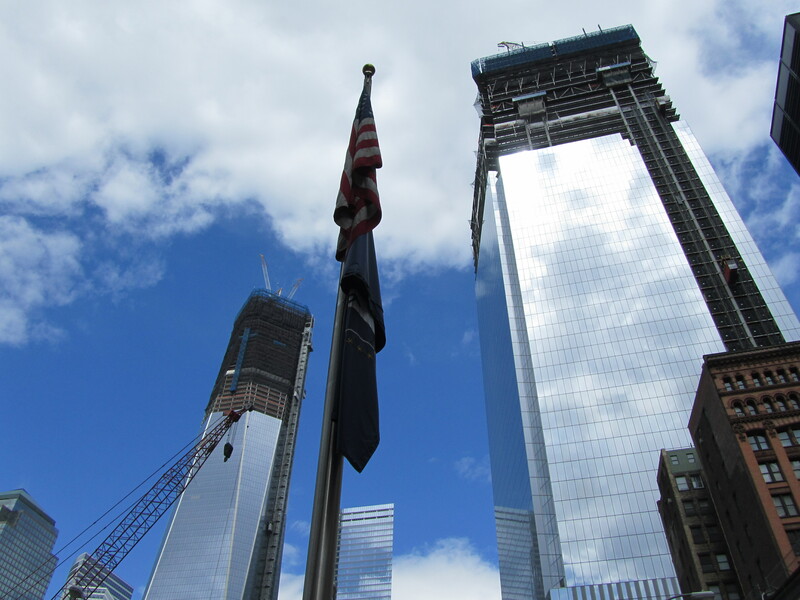 To make one thing perfectly clear, it was not God who destroyed the World Trade Center. What God wants is for us to wake up and turn to Him for help so that He can bless us as a nation, but if we do not, He will not be there to defend us against the enemy. His intentions are written in 2 chronicles 7:14, where He says, “if my people, who are called by my name, will humble themselves and pray and seek my face and turn from their wicked ways, then I will hear from heaven, and I will forgive their sin and will heal their land.” However, in this case, it doesn’t seem that the issue is whether or not we become blessed as a nation, but whether or not we wake up and repent before God Himself returns to rain down the final judgment on this world. 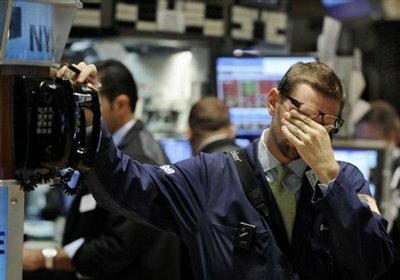 Remember, 9/11 and the economic crash were only harbingers. The judgment is yet to come. May the Lord Jesus Christ be with you all, and may the Holy Spirit sensitize you to His urgent calling. I’m reading the Harbinger right now…I did a search for Erez Tree and found this post. Very nice my brother, I look forward to reading more from you. Keep it coming.